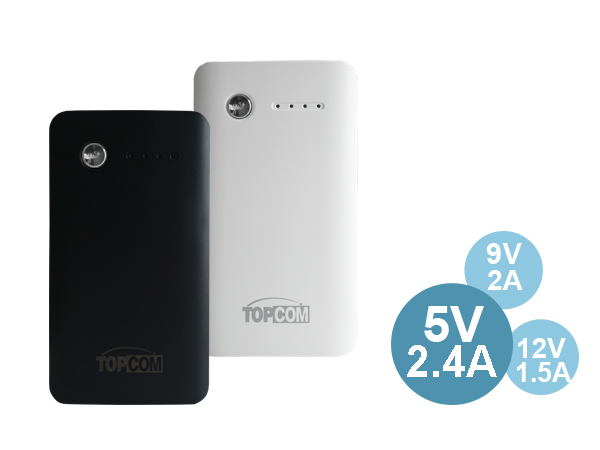 Topcom TC-Q100C is a QC3.0 USB-C interface power bank, build in three leave of voltage can offer charging for mobile phone and the devices requiring a DC5V, DC9V and DC12V input. 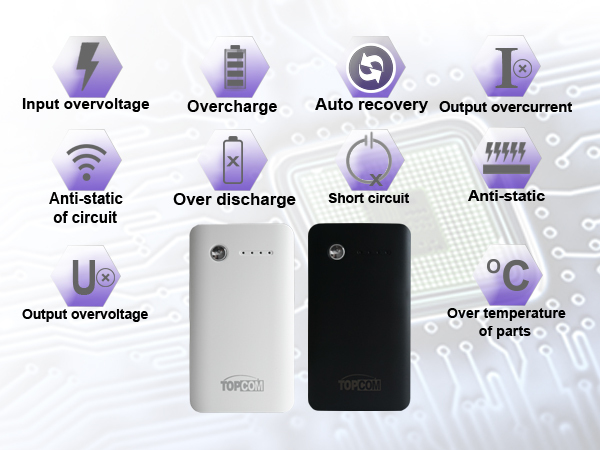 It's build-in DCP system to auto identify suitable voltage and current for a device needed. PB-Q100C 10050 mAh power bank not only with friendly interface design to simple and easy use, but also comes with QC3.0 high technology and Type A USB2.0 mode for charging. It is a famous brand phone and tablet's USB power supply, as iPhone, Samsung, HTC, ASUS, Huawei and other device’s best power supply. 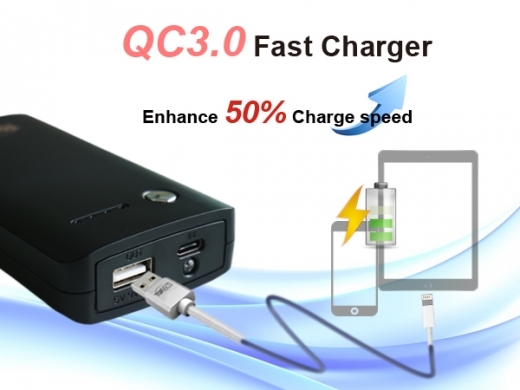 PB-Q100C portable power bank made by the 94V0 fire-resistant material. securing a safer long-time usage condition. 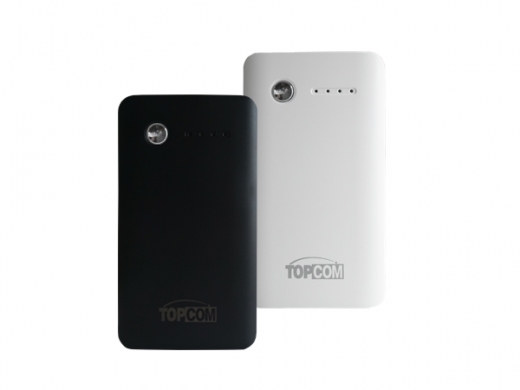 Whether you are on a business trip, working outdoors, Topcom PB-Q100C is your best choose. 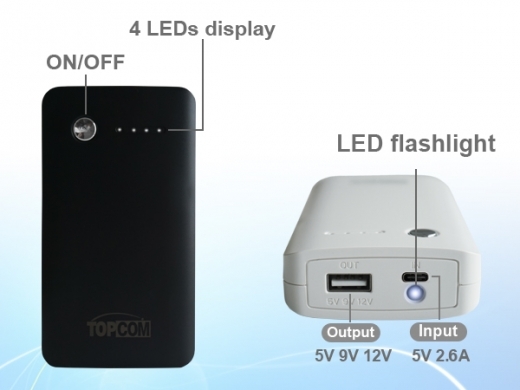 It is capable of recharging DC5V/9V/12V input devices, such as a smartphone or tablet, on the go to keep you working outdoors or during a power outage. Output : DC 5V 2.4A / DC 9V 2A / DC 12V 1.5A.